The commanding presence of Hyundai's optimized ‘Fluidic Sculpture’ design with a sleek rear surface and a striking fascia sets it apart from other SUVs. 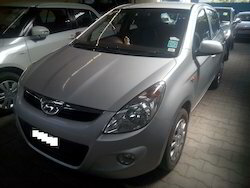 Description : Hyundai i10 2010 Model – Petrol For Sale. Second owner, 4 new tyres good condition OG Music System – All documents are in current and nicely maintained car is in good condition with good service record. Elite i20 Uncompromised living Compromises are for weak. It's for those who don't dare to follow their dreams. This is why the Hyundai Elite i20 is the enabler of achieving a new dream every day. It's about cherishing a lifestyle you deserve. Stylish yet spacious You have got a sense of style and live life to its fullest.